Preseason Podcast for the College Football Guys! The college football season is finally upon us! Join the College Football Guys as they discuss who will be playing in the BCS National Championship Game, Heisman trophy winners, and sleeper teams. Also will Florida finish the season number one? Are Lou Holtz and Beno Cook crazy for picking ND to go undefeated? Also a preview of Bama/Va Tech, Georgia/Okie State, Oregon/Boise State, Miami/Florida State, and BYU/Oklahoma. Included is a little friendly wager between LSU boy Ethan and Washington kid Cas for this weekend's LSU/U Dub game. Plus "What Would Tim Tebow Do if he were here right now?" Packed episode and worth every minute! For those of you that follow our podcast and the blog this College Football Guy wanted to make you aware of a challenge I have accepted and about to carry out. 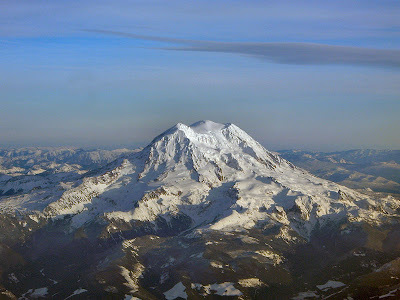 On Tuesday September 1st, I will be headed up the most glaciated peak in the lower 48 - 14,411 foot Mt. Rainier. All of us have a "bucket list" of items that we wish to accomplish before we pass and this one is on that list for me. From everything I have read and been told, it is an amazing and difficult experience. I am looking forward to the experience. Part of my desire to accomplish this goal is to raise money for cancer research. Within the last year my aunt and grandfather passed away from cancer and my grandmother was diagnosed this spring. It has been a challenge for the family to deal with and something that I don't want anyone else to go through. Therefore I have teamed up with the Jimmy V Foundation for Cancer Research to used this climb as an opportunity to raise funds to make sure that fewer people have to suffer from this disease. So far over 100 people have helped me raise over $5,000! If you are interested in helping the cause and helping us find an end to cancer you too can give. Just go to www.firstgiving.com/casheilman for complete information about the climb, cause and how to give. Anything you can do to help would be greatly appreciated. Thanks for listening to the show and wish me luck! Join the College Football Guys as they discuss the release of the USA Today Top 25 poll. Our thoughts are on Orrin Hatch and the BCS. Plus how hip are the CFG's on urban slang. The Princeton Review's top 10 party schools. When will the NCAA FINALLY crack down on USC? Is Steve Spurrier jealous of Tim Tebow? Plus, Joe Paterno explains his knowledge of Twitter. USC Explains Why they are Above the NCAA. Here is USC's lame attempt to explain away USC's athletic misgivings. Watch and enjoy! Believe what you will.